WCMS, a Web content management system is a system that is specifically designed to manage web content. The software consists of a set of tools that provides an organization with a way to handle digital information even without any prior knowledge of web programming or markup skills. In simple words, WCMS is a program that helps in assembling, organizing and changing the content on a webpage. It is the foundation for collaboration which entitles the users with the ability to manage documents and grant multiple user access with permission to edit, view or manage and participation. 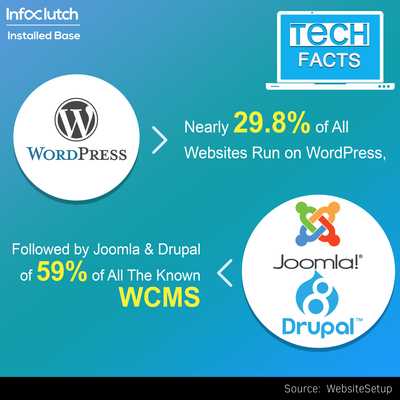 Before the existence of WCMS, businesses earlier relied on static pages that were directly being uploaded on to servers to publish their content or anything on websites. Today, most companies use WCMS as they include inbuilt templates in the form of XSLT files and features of Open APIs, Content Personalization, Multilingual support, and Permission Control. It is easy for even a non-technical minded. Easy site maintenance: allowing IT staff to maintain on-site creation and maintenance. Self-controlled which enables users to change the layout, enable/disable module positions and more. Web standard compliance can be enforced. Content can be centrally stored and backed up. Sites can leverage common templates for a consistent layout. One can publish to any web server with an appropriate supply of credentials.